We all want fairer and even tone skin, but all of us are not blessed with it naturally. 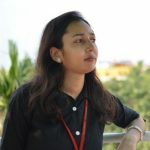 Many of us are born with fair complexion but due to sun exposure and other external effects, with the time our fair complexion gets fed and become full of scars, pigmentation, uneven tone, darkening etc. If you are also hunting for some natural skin fairing tips then this is the right platform for you. Make your skin fair and glowing with our tips to bleach your skin at home. Fair and whitening skin tone is the dream of every woman but due to external pollution and overexposure to UV rays, we lose our natural complexion which is really very painful for women as beauty is the primary concern of every woman by birth. You can get back your original complexion again by bleaching your skin. Bleaching is a process of whitening skin tone. It not only helps in restoring your lost skin tone but also it gives a brighter complexion to those who are born with a dark complexion. There are several cosmetics product available on the market for bleaching purposes but these are not totally safe as many times it causes some side effects like irritation, burning and even scars. So as much as possible don’t use these bleaching creams instead prepare your own homemade bleach as you will be more confident regarding its ingredient, also you can use ingredients as per your skin type. Bleaching is nothing but a treatment procedure for rejuvenating your skin tone. It makes your complexion fairer with even skin tone and free of any kind of spot or scars. Though you can get numerous bleaching creams or products in the market these are full of many harmful chemicals such as steroid and hydroquinone which are not at all favorable for your skin. Here we have enlisted some natural and homemade skin bleaching tips which can provide you better and even tone skin complexion without any side effects within few weeks. If you want to get rid of your uneven tone or dark complexion naturally then there is one best homemade remedy for enhancing your fairness and complexion. Prepare a mixture of honey, potato and lemon juice. You can get all these general ingredients for your facial paste at your home only so you don’t even have to go out for buying any costly product. Peel and squeeze the potato first to get its juice. Then add half tbsp. honey and lemon to the juice of potato. Mix it well in order to get a smoother mixture. Now apply it to your face and leave it to get dry for the 20 minutes. After that rinse your face thoroughly with water. Lemon is a natural hydrating element which helps to improve your skin tone. 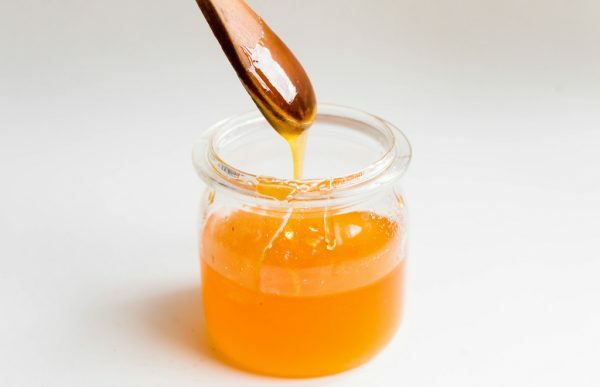 Honey helps in tightening your skin and gives you a younger look. Apply this paste two times in a week for bleaching your skin. This will stimulate your fairness and also will reduce the issue of uneven tone. 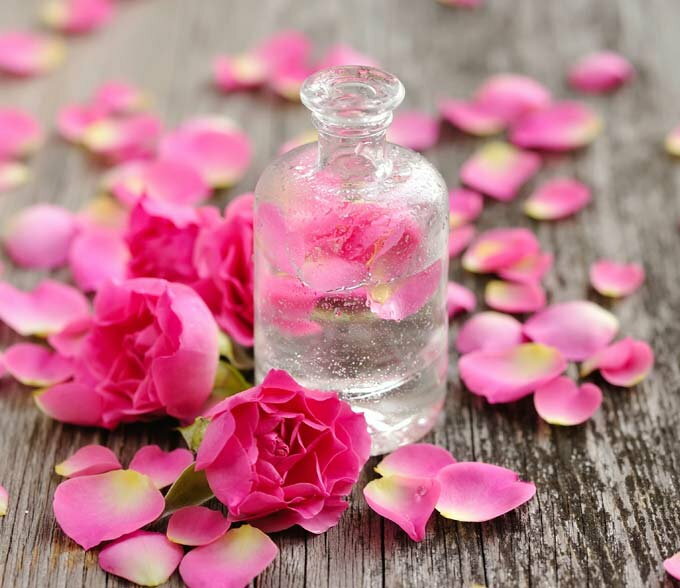 Rose water stay rich with natural nourishment feature. It does not only make your complexion light but also improves your facial glow. Rosewater, glycerine and lemon juice paste is one of the best homemade bleach for your skin. Glycerine helps to tighten your skin whereas lemon juice keeps your face moisturized naturally by hydrating it. Prepare a liquid mixture by mixing the lemon juice, rosewater, and glycerine in the mentioned quantities. When your homemade bleach is ready to apply it to your face in the night time and leave it on your face for the whole night. Wash it in the next morning. Apply this natural bleach mixture on daily basis for getting even tone and scars or pigmentation free clear skin. You can prepare this liquid mixture in extra quantity and keep it in a bottle inside the refrigerator so that you don’t have to prepare it every day. Within few days of regular use, you can easily feel a dramatic change in your complexion and glow. It makes your skin tone even by fading your facial scars and blemishes. Almond is a high nutrients dry fruit which is often suggested to eat for diminishing the aging effect. Its natural nutrients ingredient moisturizes your skin naturally by getting inside the skin pores. Milk is known as a complete diet so it’s quite obvious how much it is healthy for our skin. It makes your face much more glowing naturally. You can prepare natural bleach at your home only by making a paste of milk, almond, and honey. 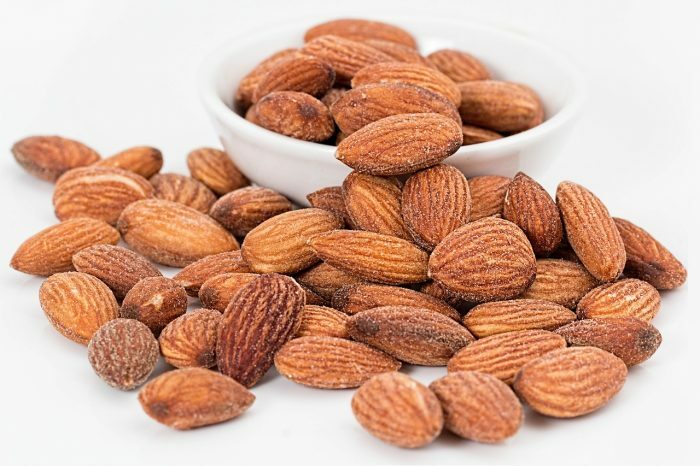 For preparing the paste of almond, milk, and honey you need to soak 4-5 almonds in a bowl of water for the overnight. Next morning take out these almonds and grind them in a mixture for preparing a smooth paste. Now add milk and honey to the almonds paste in the mentioned quantity and mix it well. Now apply this prepared paste on your face and leave it for 20 minutes. Wash your face with lukewarm water after the 20 minutes. This is a healthy and natural beach that can improve your skin tone by making it even and lighten. You can apply this homemade bleach for three to four days in a week for getting an instant effect on your skin. As all the ingredients are natural so there is no fear of any kind of side effects like irritation or burning etc. Turmeric is a natural healer which removes spots of scars and pigmentation. Its anti-inflammatory property soothes your skin and makes it look clearer and brighter. 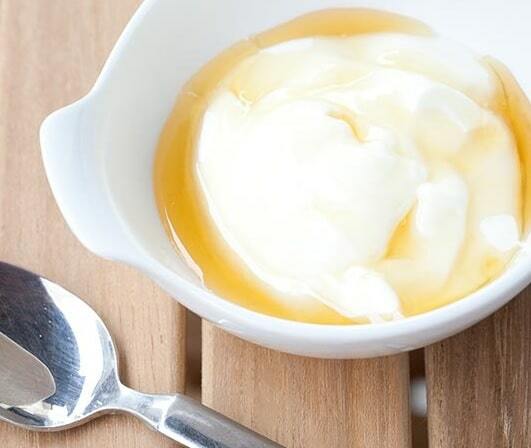 Yogurt helps in reducing aging marks like wrinkles and fine lines. It contains lactic acid which helps in removing the dead skin cells from your skin. It tightens your skin and gives it a natural glow. Turmeric and yogurt paste is one of the beast home prepared bleach for your skin. 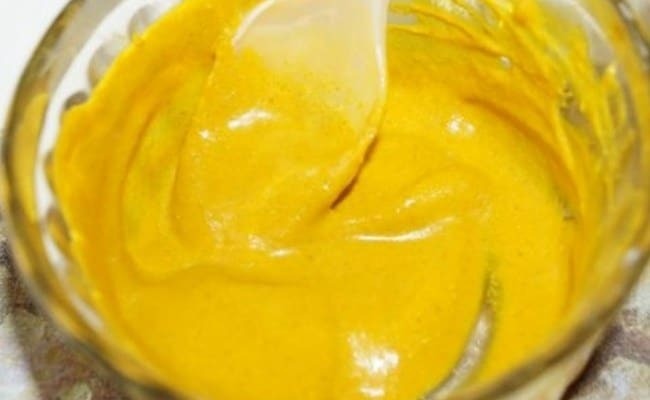 Prepare a paste by mixing the turmeric and yogurt in a bowl and apply this prepared paste in your face. Leave it for a half hour and after that wash your fish clearly. Turmeric often leaves its yellowish color on skin even it is washed fully. So you can apply lemon water for removing the turmeric traces. Apply this natural bleach at least three days in a week for getting smoother and clearer skin easily. Honey is rich with natural nourishment and moisturizing feature. It adds shine and fairness to your skin if applied on daily basis. Papaya is another natural ingredient which makes your skin healthy and glowing. It hydrates your face naturally and then prevents it from getting tan or darkening. So if you are hunting for easy homemade bleach for your skin then apply this honey and papaya made a paste for getting even tone skin. 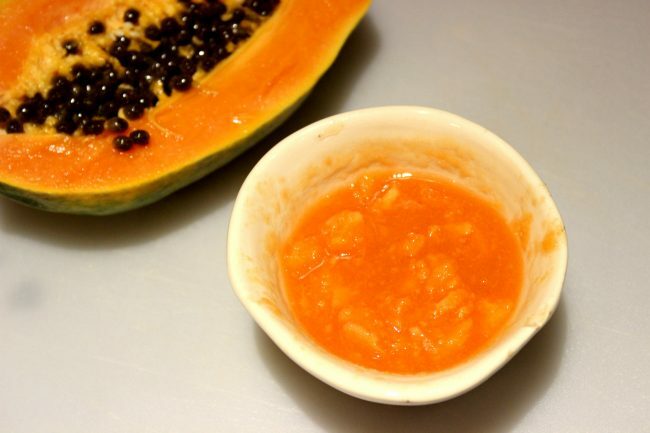 Mash first this ripe papaya piece in a bowl and then add ½ tbsp. of honey to it. Mix these ingredients well for getting a fine paste. Apply this healthy and natural homemade bleach paste to your skin evenly. Leave it for next 20 minutes. Once it gets dry wash your face thoroughly with water. You can see the difference in your complexion and skin tone instantly. For permanent change and effect, you should apply this natural bleach on daily basis. Papaya is rich in an ingredient called papain which helps in removing the dead skin cells in your face. As all the ingredients are natural so there is no fear of any side effects. The papaya mash soothes your skin and honey adds natural shine and glow to your skin. Cucumber soothes and hydrates your skin as well as your eyes naturally, this is the reason whatever the face mask you wear, cucumber is always suggested to apply to your eyes. Its seeds are rich with natural moisturizing effect and also it is good for lightening the skin tone. Tomatoes are always considered as a healthy diet so it’s quite natural that when it is applied to the face it makes it healthier. The lycopene element of tomatoes fights against the ultraviolet rays of the sun and thus protects your skin from sunburn and aging effects. Potatoes are rich in vitamin C which hydrates your skin naturally. 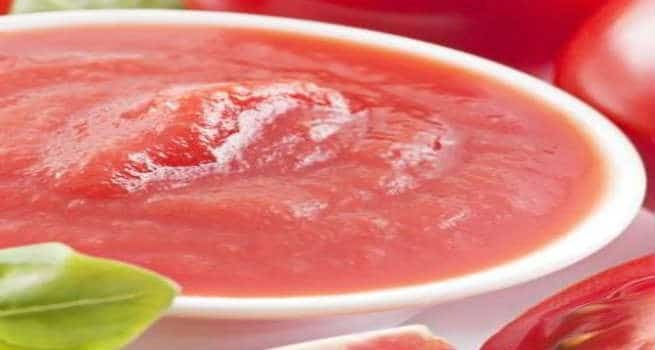 You can prepare natural bleach by mixing the cucumber, tomato and potato juice at your home only for getting fair complexion with a rich glow. For preparing this paste you need to mix all the ingredients in the mentioned quantity very well and then rub your face with this mixture before going to bed at night time. Leave this paste on your face overnight and cleans it thoroughly in the morning. The regular application of this natural bleach paste will help in improving your skin tone by removing the scars and blemishes on your face. Tomatoes are rich in antioxidants which helps in protecting your skin from the damages causing from unhealthy free radicals. You can prepare this liquid mixture in enough quantity and store it in the refrigerator for regular use. Honey and yogurt together make a great combination of bleach. Honey is rich in essential qualities which improve your skin tone by making it clear and glowing. Its antioxidant properties fight with aging effect and fade the existing wrinkles and spots. It prevents acne and often used as anti-acne treatment as because its antibacterial feature fights with free radicals. Yogurt paste soothes your face by naturally hydrating it. For preparing honey, lemon and yogurt bleach at home you need to mix well all these three ingredients well in the mentioned quantity. Once your paste is ready to apply it to your face and leave it for next ½ hour. After that cleans your face with the face wash. If you will apply this paste daily on your face it will enhance your facial texture and complexion. Lemon helps to enhance your skin tone and gives you more whitening look. Honey is helpful for tightening your skin and for removing wrinkles and dark circles. If you are fed up with your uneven skin tone or due to sun’s exposure you have lost your real complexion, then try this easy home prepared bleach on your skin. Within few days you can feel the difference in your skin tone or complexion. Besan or gram powder is a very old therapy or method for getting fair complexion. It is been utilized by the ancient women for naturally diminishing the dark complexion of skin. Apart from improving your skin tone it also makes your face much glowing and younger one. Turmeric is a natural antibiotic so when it is applied to the face it fights with the free radicals existing on it and prevents your face from pigmentation and scars. Besan, turmeric, and lemon together form great home prepared bleach for your skin. You become able to get fairness naturally with all these healthy and skin-friendly natural ingredients. This way it saves your money, else you have to spend in a beauty parlor for bleaching your face. 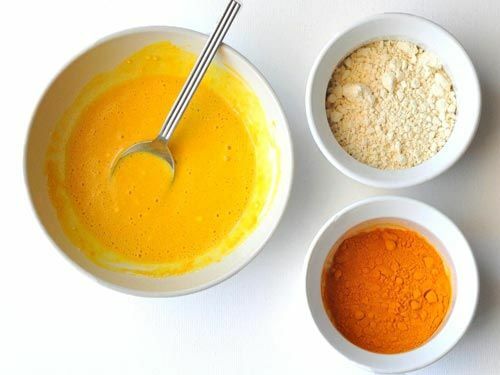 Mix besan, turmeric and lemon in the mentioned quantities in a bowl for getting a smoother paste and then apply it to your face in even quantity. Leave it for 20 -25 minutes and then rinse your face thoroughly. Regular use of this home prepared bleach will improve your skin tone and within few weeks you can see much more changes in your complexion. 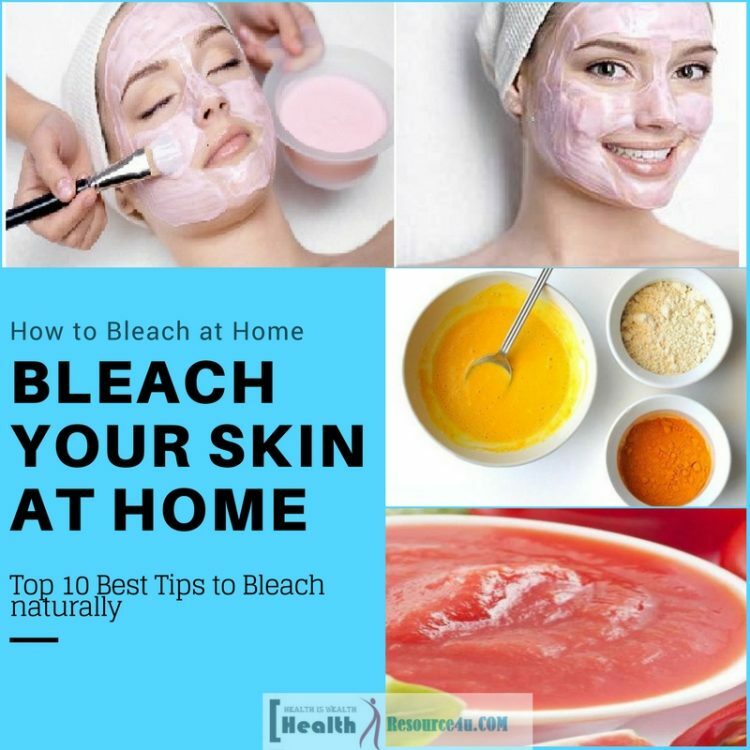 Apply our tips to bleach your skin at home, mentioned in this article as these are free of any side effects and safely you can enhance your skin tone or complexion within few weeks of its regular use.